Do Your Clients Need Better Results? If your clients need more traffic, more leads, or more customers, we can help you! Press/News Release Writing And Distribution – We provide a fully managed done-for-you service. We will research, write, and distribute your client’s press release. 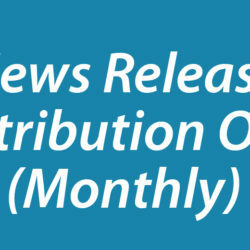 Press/News Release Distribution Only – You supply the press release and we will distribute it on your behalf. We will distribute your press/news releases to over 500+ authority news, TV, radio, and media sites, resulting in additional online exposure, increased search engine rankings, and more traffic to your client websites. This frees you up to look after your client while we provide you with the backend service and support you need. 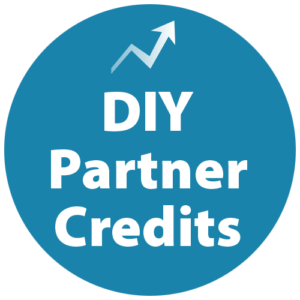 To partner with DistributionPress.com, simply purchase credits to be used for our “Done For You” or “Do It Yourself” news release services. 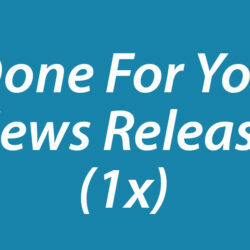 1 x “Done For You” credit = 1 x “Done For You” news release service. 1 x “Do It Yourself” credit = 1 x “Do It Yourself” news release service. 3 credits = 12 months from purchase date. 6 credits = 12 months from purchase date. 12 credits = 24 months from purchase date. Contact us today to discuss how we can work together to create a win-win situation for you and your clients or click on one of the options below for more details. Purchase "Done For You" News Release Credits. We offer the option of purchasing 3, 6, or 12 DFY news release credits. 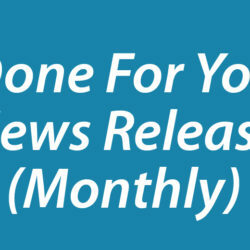 1 credit = 1 x "Done For You" news release writing and distribution service. Purchase "Do It Yourself" News Release Credits. We offer the option of purchasing 3, 6, or 12 DIY news release credits. 1 credit = 1 x "Do It Yourself" news release distribution service.